Twenty two years ago on this day, elements of the Vojska Republike Srpske (VRS) entered the town of Srebrenica, which had official been designated as a “safe haven” by the United Nations Security Council just two months prior. Upon arrival, the VRS quickly overran the lightly equipped peacekeeping force put in place for protection. In the ensuing chaos, thousands of the city’s boys and men were rounded up and systematically executed, with their bodies cruelly stacked into mass graves. Tens of thousands of women, children, and elderly members of the Bosniak community in Srebrenica, for their part, were subjected to systematic displacement in addition to a host of other abuses. On February 26, 2007, the International Court of Justice ruled that the atrocities committed at Srebrenica constituted genocide. The court reasoned that, while other atrocities that occurred during the Bosnian War lacked evidence to prove the existence of the necessary element of intent, the VRS perpetrators of the July 1995 massacre possessed the specific intent required to qualify the event as genocide. 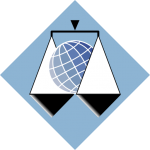 Established in 1993, the International Criminal Tribunal for the former Yugoslavia (ICTY) represents the first war crimes court created by the United Nations as well as the first international war crimes tribunal since the Nuremberg and Tokyo tribunals, which had been established in the aftermath of the Second World War. Throughout its history, the ICTY has charged more than 160 individuals for their role in the atrocities that took place. Recently, in the spring of 2016, the Tribunal convicted Radovan Karadžić on 10 charges that include genocide, war crimes, and crimes against humanity. The trial of General Ratko Mladić, who commanded VRS troops involved in the atrocities in Srebrenica, is currently ongoing. The Srebrenica genocide epitomizes what can happen when bystanders fail to act in defense of the innocent. July 11th is a day of remembrance for those who perished but must also be a day of action to ensure that such tragedies never happen again.